The constant weather change and traveling Agartala to Pune and Pune to Agartala has really an impact on my boy's skin. I have been testing out a few different moisturizers for him but he has very dry skin and somehow those were not works well for him. So recently I picked this up because I needed a good moisturizer for him that wasn't going to irritate and best suited for his delicate skin. 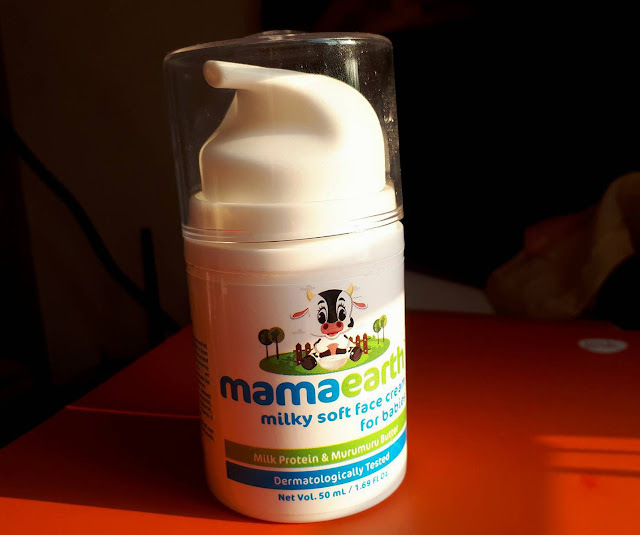 Mamaearth Milky Soft Face Cream mainly design for baby's delicate skin and protect it from dryness by forming a skin barrier. This cream has milk protein in it, locks in the moisture and soothes baby's delicate skin. Shea and cocoa butter improve skin texture by providing relief from eczema, chapped, dry and itchy skin. 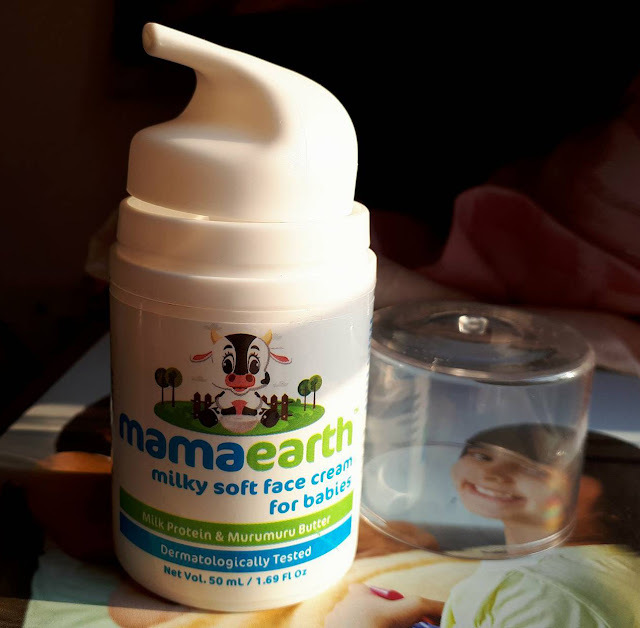 This Mamaearth baby face cream comes in a white very good quality plastic pump bottle with a transparent cover to maintain the hygiene. Packaging is very good and which is easy to hold. This kind of packing is absolutely travel-friendly and there is no issue of spillage of the product. 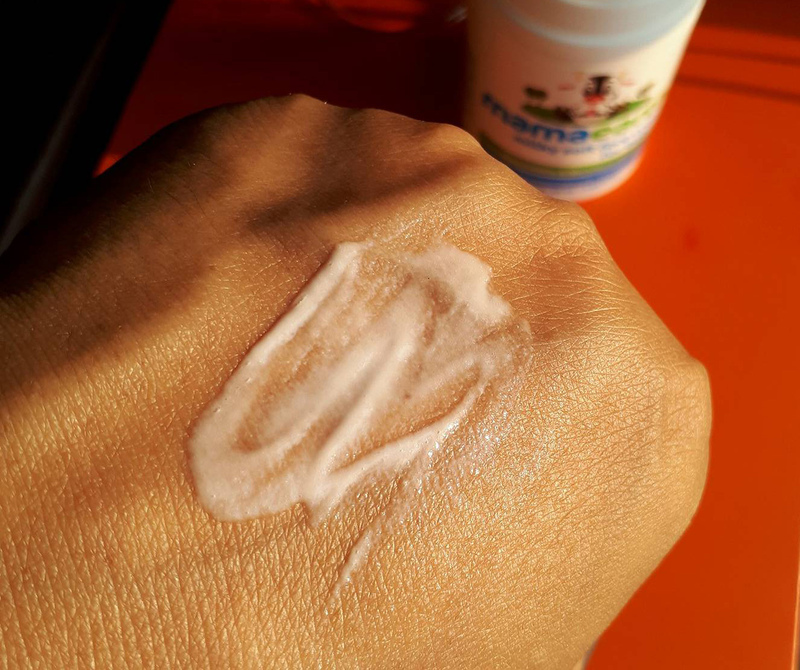 It has a soft and a very creamy consistency with a non-sticky formula.The texture is quite thick comparatively other face creams that I have tried before for my son. It has very mild refreshing fragrance which isn’t too bothering. It is creamy white in color. After taking out a pea size of the cream I apply this on his face and other dry areas of his body. Due it's thick texture which gets absorbed into the skin with a bit of massaging, it takes almost 2 to 3 minutes to completely blend with the skin and it doesn’t leave a greasy feel to the skin. It provides 5-6 hour hydration which I really love. I apply this cream on my baby’s skin twice a day once in the morning just after the shower, once at night before going to sleep. This cream is rich in ingredients like glycerine, shea butter, and other natural oils that keep skin naturally moisturized and healthy. This cream helps in maintain the smoothness and natural moisturizer of skin. These all natural ingredients also moisturize and soften the skin very nicely. After applying for one week, I have noticed his skin become soft smooth and it also helped to cure rashes. It smells great as well and lingers just long enough. I love how it absorbs into my baby’s skin and the cream doesn't leave any sticky feeling. 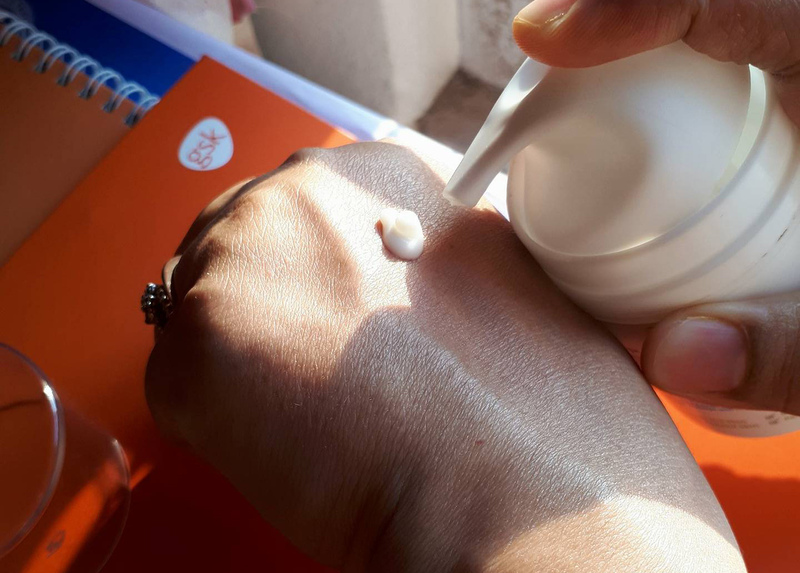 The Bottom Line, it has been a pretty good experience with the face cream, especially my son was suffering from the problem of dry and itchy skin. This cream is non-greasy and its gentle formula is able to moisturize and protect my baby’s delicate skin from skin problems. It is also free of harsh chemicals, like parabens, artificial fragrances, colorants, and mineral oil. I highly recommend this dermatologically tested Milky Soft Face Cream for Babies. This looks like a very good gentle face cream. Mama earth really has some amazing products.